In the mood for some island-inspired jams this weekend? Celebrating 42 years, the “Reggae Ambassadors” that make up Third World will be coming to Flatbread in Edgartown on Sunday, August 2, at 9 pm, for a TPS Presents event by Phil DaRosa. The band counts 10 Grammy nominations and a catalog of charted hits (including “Now That We’ve Found Love,” ”96 Degrees in the Shade,” and “Try Jah Love”) spanning four decades, and sold-out tours, with a vibrant and loyal fan base and inspirational messages in their music. Third World’s songs have reached Top 40 on the Billboard charts in the U.S., U.K., Europe, and Japan, and received a platinum award in Japan. In 1986, Third World received the United Nations Peace Medal for their contribution of music and their lyrics. They performed on the MTV Amnesty International Concert at a sold-out Giants Stadium in 1986, and performed at the Rose Bowl with Quincy Jones, Stevie Wonder, and Michael Jackson. They’ve played Carnegie Hall, Madison Square Garden, the Welcome Home Nelson Mandela concert in 1990, and have been featured at major sporting venues, including the Lord’s Cricket Grounds in the U.K. in 2000 and the opening ceremony for Cricket World Cup in 2007. 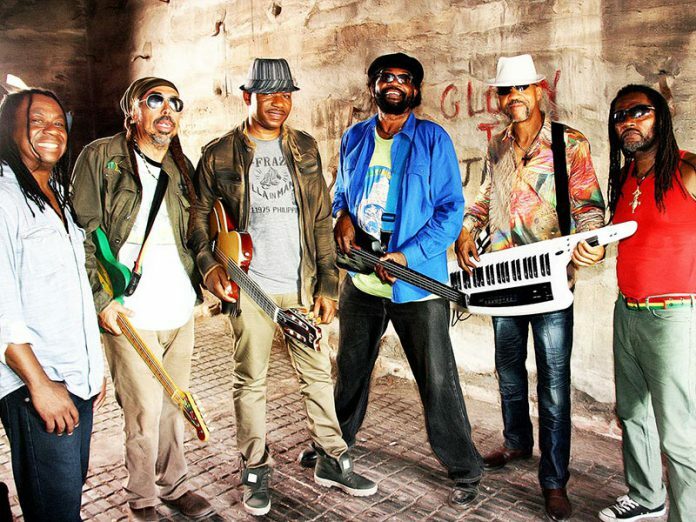 Third World has also appeared on the “Tonight Show with Jay Leno,” “Late Night with David Letterman,” the “Arsenio Hall Show,” “Soul Train,” “Top of the Pops,” the “Shirley Bassey Show,” and more. Third World plays Flatbread Co. on Sunday, August 2, at 9 pm. Tickets $30 at the door, or $25 in advance, and can be purchased at thirdworld.brownpapertickets.com.